Creating Your Cover Letter Every time you send out a r�sum�, you�ll need to have a great cover letter to send along with it. 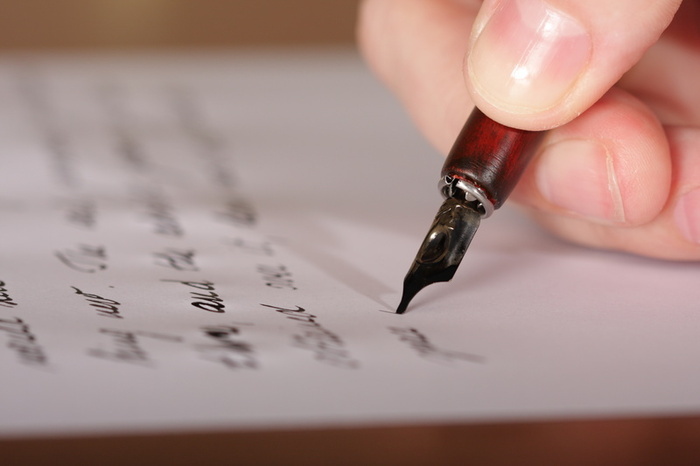 Creating Your Cover Letter Every time you send out a r�sum�, you�ll need to have a great cover letter to send along with it. It�s a good idea to customize your cover letter for each job you�re applying for. The cover letter is another way of introducing yourself to a potential employer. What it says about you can be the difference between getting in the door and missing your chance. Before You Write Each cover letter takes preparation. Here we�ve outlined some things to keep in mind when preparing to write your cover letter: * Think about yourself and your experiences. Then think about how you would like to relate your experience to the organization you�re writing to. Which of your talents, skills, personality traits and accomplishments should this particular organization know about? Brainstorm a list for yourself. * How did you hear about this opportunity? If it was through a personal contact, write down the name. If through an advertisement, write down where and when you saw it, and list the specific points the ad wants you to include. * What do you know about the organization you�re writing to? What attracted you to it in the first place? Maybe it�s personal (a friend worked there), or maybe you are impressed with what the organization does or admire their unique work philosophy. Do some research about the company online or through trade magazines, etc. * Whom are you writing to? It�s always best to write to a real, live person (with a title) if you can, so if you�re not responding to an ad that includes a specific contact, try to look up the name of someone in particular to write to. Be sure to spell both name and title perfectly. If you cannot find a specific person to write to, try �Dear Hiring Manager� or �Dear Human Resources.� Avoid gender-specific salutations such as �Sir� and �Ma�am.� The Right Format Busy people don�t want to read long letters from people they don�t know. The cover letter should be one page long, and in standard business letter format. This means that you may indent your paragraphs or not � but not indenting gives a bit more room. Leave wide margins (minimum 1 inch) and use a clean, simple font like Arial or Times New Roman. Don�t be tempted to use a tiny font just to fit everything on one page; 10- or 12-point type is best. Write clearly and avoid hyphenated words at the end of a line. Compose the Letter * Paragraph One: The first paragraph is the most important. Because it will be the first thing your potential employer reads, it has to make a great impression. Start out by telling how you heard about the job � friend, employee, newsletter, advertisement, etc. This is especially important if you�ve been referred by a mutual acquaintance. For example, if a friend recommended that you write someone he knows at a company, don�t start with �My friend, John Peterson, told me you have a job opening so I thought I would write.� That will not �wow� anyone. Instead, try something like �I was thrilled when my friend, John Peterson, told me there was an opening for an assistant photographer at your company.� Show a little excitement and passion for the potential employment; then follow this with a few key strengths you have that are pertinent to the position you�re looking to obtain. * Paragraph Two: Here you should describe your qualifications for the job � skills, talents, accomplishments and personality traits. But don�t go overboard. Only pick the top three talents or characteristics that would make you stand out as a candidate. Your r�sum� is there to fill in the details. When writing this, think about how you can contribute to this company and why your specific skills, talents and accomplishments would be best for the company. * Paragraph Three: Describe why you think you�d fit into the company � why it would be a good match. Maybe you like their fast growth, know people who already work there or you�ve always used their products. Companies feel good if the candidate feels some connection to them and has a good understanding of how the company works, even before he or she is hired. * Paragraph Four: Mention the enclosed r�sum�, give them a reason to read it in-depth (e.g., For my complete employment history and applicable computer skills, please see the included r�sum�) and ask for an interview. Suggest a time and a way for you to follow up. Make sure you give the reader ways to easily contact you. Essentials * Proofread carefully. No mistakes are allowed! No misspellings, no incorrect dates, no grammatical errors. None. Even a single mistake indicates carelessness to the employer and may disqualify you before your r�sum� has been reviewed. If spelling and grammar aren�t your strong points, ask for help. Having a second pair of eyes proofread your r�sum� and cover letter can help you catch mistakes you may have missed. * Write individual letters. Personalized communications are always the way to go, so take the time to tailor each letter to the organization and person to whom you�re writing. �Stock� or �generic� letters are easily recognizable to recruiters and send the message that you don�t care enough to personalize them. * Appearance counts. Invest in nice stationery. Use �Monarch� size paper (7� x 10 1/2�) if you like, or the standard size (8 1/2� x 11�). Always use a quality printer and send originals, never photocopies or corrected versions. * Forget photos. Unless you�re an aspiring actor or model, don�t enclose a photo. It gives the screener one more arbitrary reason not to call you for the interview. * Use simple, clear sentences. Choose every word carefully. Constantly ask yourself, �Is there any way I can say this more clearly?� And, �Am I communicating my ideas to the best of my ability?� * Keep copies of your r�sum� and cover letter. You�ll need to have them handy when you follow up later. Always keep a supply of clean, unwrinkled r�sum�s on hand during the process of interviewing for jobs. Make Your Cover Letter Stand Out * Be yourself. A �formula� approach is fine, but each letter should reflect your personality and your enthusiasm. Let it shine through. Take pride in who you are and what you�ve done. The reader is looking for a human being, a person who knows what he or she can offer and can express it well. * Clearer expression. Most people come close to expressing what they really want to say but usually miss the target. Take the time to craft your words and sentences to mean exactly what you intend and you�ll be in great shape. Ask others to review your letter/r�sum� to ensure that you�re communicating what you want to say. * Write in the active tense. Active verbs are the key when writing cover letters and r�sum�s. Instead of saying, �...my best attributes include team play and motivating people,� say �I�m a dedicated team player who can motivate people�� The latter promises a go-getter employee � someone who can take action instead of waiting to be led by the hand. Common Mistakes * Writing to a department or title. It�s always best to write to a real person with a real title. The exception to this is when you�re answering an ad and specific contact information is not provided. * Using �Dear Sir.� Many cover letter readers are women. If you cannot get the name and title of someone to write to, it�s safer to use either a job title or generic title like �Dear Human Resources Manager,� or �Dear Sir/Ma�am.� * Overusing �I.� It�s okay to refer to yourself, but not in every sentence. Remember to use �you� even more. Show the �you� to whom you are writing that you�re more concerned with meeting his or her needs than meeting your own. * Exaggerating your experience. Don�t �stretch� anything you say. Be completely truthful while still presenting yourself in the best possible light. * Forgetting to give the employer a way to contact you. Never forget to include your phone number or email address or both. How will the employer let you know about your upcoming interview if he or she can�t call and tell you about it? * Forgetting to sign the letter or to attach your r�sum�.